Britain shared “unprecedented levels” of intelligence about a spy poisoning it blamed on Moscow, which has led at least 25 countries to expel Russian diplomats, a senior UK government official said Tuesday. This week’s coordinated expulsions have echoed Britain’s action in response to the March 4 attack on former Russian double agent Sergei Skripal and his daughter in the English city of Salisbury. London has shared “unprecedented levels of intelligence with partners” since the attack, a senior government official said, culminating in the response from capitals around the world. Nearly 150 suspected Russian spies have so far been expelled, including 23 dispatched by Britain. “This will send a clear message to Russia that there are costs and consequences for their unacceptable pattern of behaviour,” NATO chief Jens Stoltenberg said after the alliance announced seven Russian staff would be expelled and three more denied accreditation. London and its allies have blamed Moscow, citing the use of a Soviet-designed nerve agent Novichok, Russia’s record of targeting dissidents and its history of aggression in recent years, from Crimea to cyber-attacks. 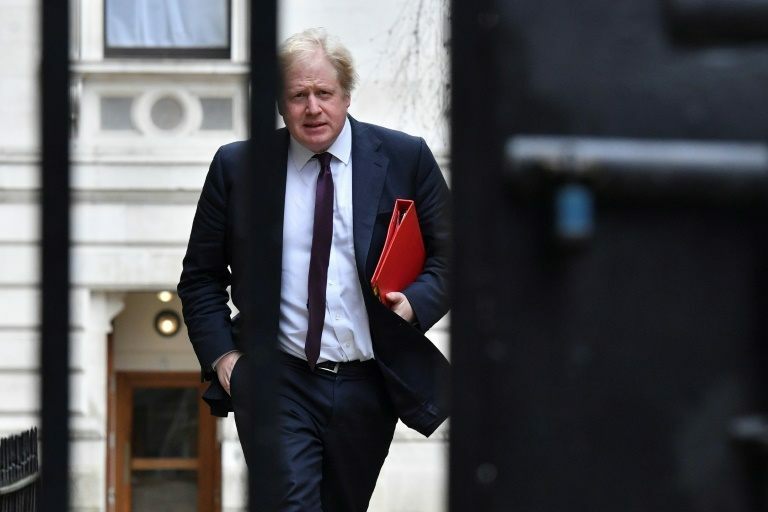 British Foreign Secretary Boris Johnson said the mass expulsions were “a blow from which Russian intelligence will need many years to recover”. Skripal, a Russian military intelligence officer imprisoned by Moscow for passing on information about Russian agents in various European countries, came to Britain in a 2010 spy swap. Moscow has fiercely denied any involvement in his attempted murder, instead pointing the finger at London. It responded to Britain’s expulsions with its own, and the closure of the British Council cultural organisation — and on Tuesday promised it would hit back against the coordinated moves. “We’ll respond, have no doubt! No one wants to put up with such loutish behaviour and we won’t,” Russian Foreign Minister Sergei Lavrov said on the sidelines of a conference in Uzbekistan. Lavrov said the coordinated response was the result of “colossal pressure, colossal blackmail” from the United States. Washington led the way in responding, ordering out 60 Russians in a new blow to US-Russia ties less than a week after President Donald Trump congratulated his Russian counterpart Vladimir Putin on his re-election. Also on Tuesday, US Defence Secretary Jim Mattis said the poisoning was part of a Russian strategy of conducting operations and then denying responsibility for them that is designed to divide the West. Australia, Canada, Ukraine and 18 European Union states followed with smaller-scale expulsions, most recently coming from Belgium which on Tuesday evening announced the dismissal of one Russian diplomat. “Relations between Russia and the West are entering a period of full Cold War,” foreign policy analyst Fyodor Lukyanov wrote in the Vedomosti daily. The Izvestia daily dismissed the expulsions as a “russophobic flashmob”. But Western officials made it clear in announcing the expulsions that they share Britain’s assessment that only the Kremlin could have been responsible. White House spokeswoman Sarah Sanders said Washington and its allies were acting “in response to Russia’s use of a military-grade chemical weapon on the soil of the United Kingdom”. Britain has emphasised that the attack took place in the context of “reckless behaviour” by Russian President Vladimir Putin, including the annexation of Crimea. May’s spokesman said Tuesday that the “unprecedented” actions by allies were in part because they “recognise the threat that these Russian networks posed to the security of their own countries”. British officials say Russia has sought to divert attention by putting out more than a dozen explanations for the attack, the first using a nerve agent in Europe since World War II. “There was a time when this tactic of sowing doubt might have been effective, but no one is fooled any more,” Johnson wrote, adding that the expulsions were “a moment when the cynicism of the propaganda machine was exposed for all to see”. Washington’s expulsions represented the largest ever of Russian or Soviet agents and came after US President Donald Trump’s predecessor Barack Obama expelled 35 in late 2016 over alleged election meddling.